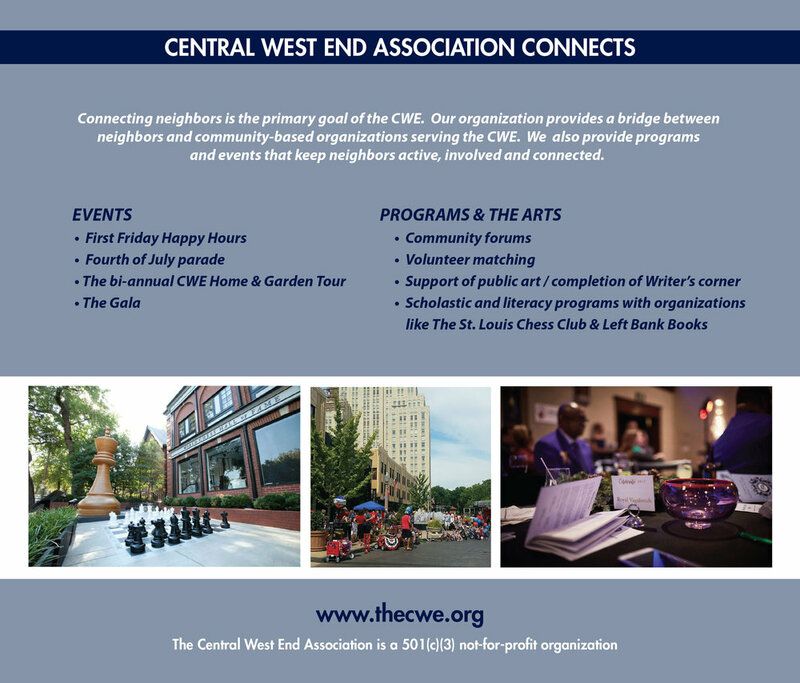 The Central West End Association is happy to welcome you to the CWE. 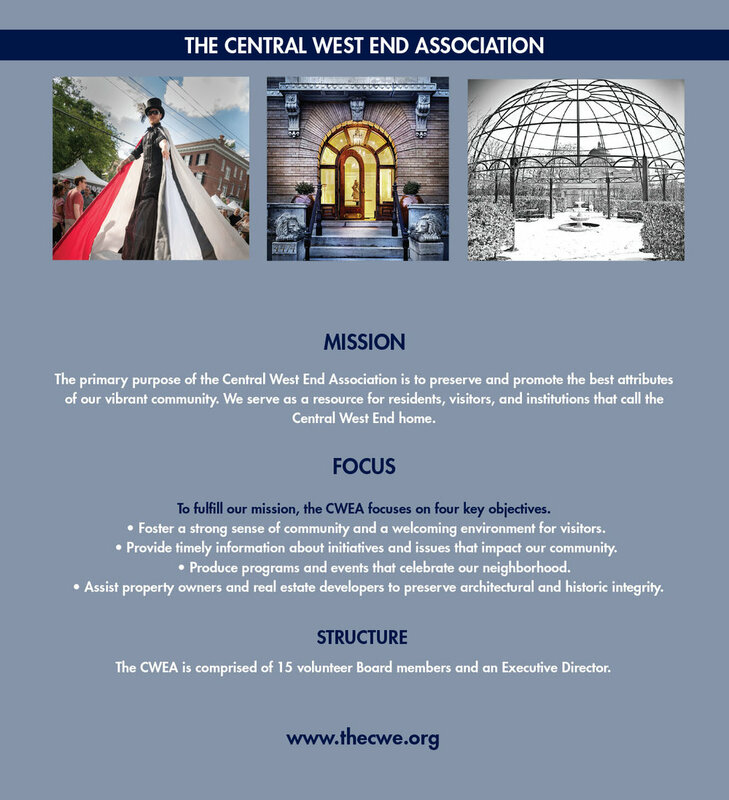 Below is some background on the neighborhood and our Association. Click here for a list of helpful websites and phone numbers if you're new to the neighborhood. Sign up with your email address to receive an extensive list of news and updates.